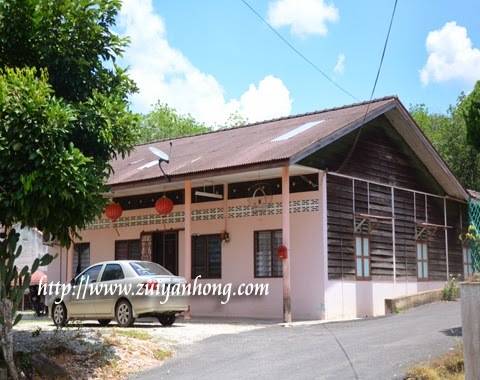 Kongsai Village is a mini village in Jasin Malacca. The villagers of Kongsai Village like to plant fruit trees and flowering plants. 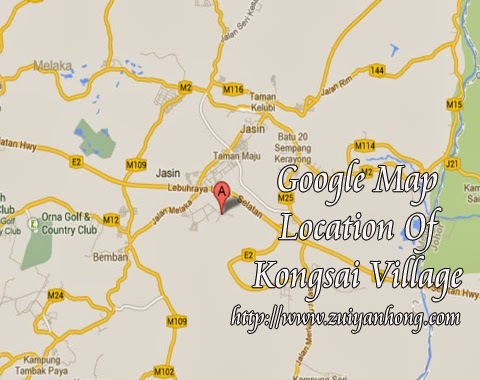 This Google map shows the location of Kongsai Village. It's located in the middle of Jasin and Bemban. 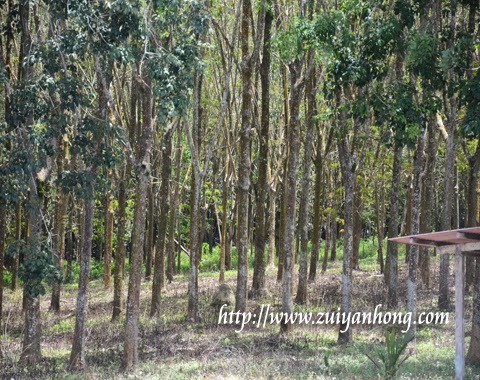 Kongsai Village is surrounded by rubber trees. Most of the villagers of Kongsai Village are rubber tappers. I don't miss the chance to capture this photo of a rubber tree. 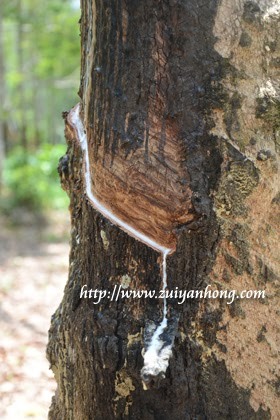 The latex had already condensed and attached to the rubber tree trunk. 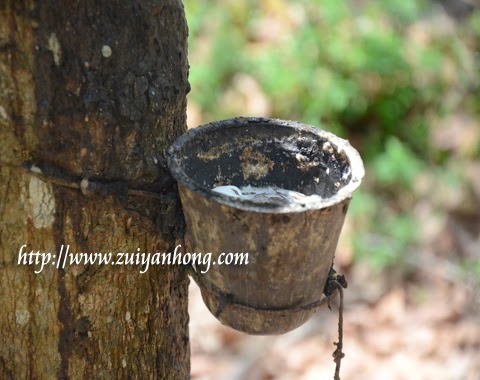 After the rubber tree trunk is tapped, the latex will flows into the cup before condensing. Nowadays the rubber is sold in the form condensed rubber. 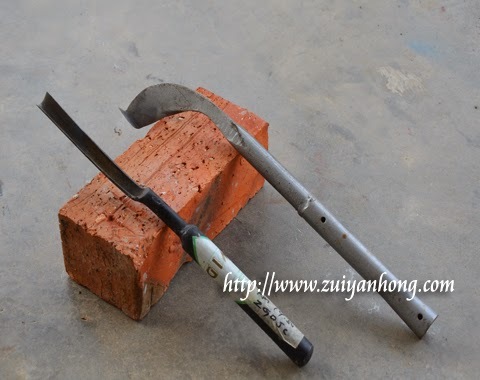 There are two types of rubber tapping knife. The knife on the left is upward rubber tapping knife and the knife on the right is downward rubber tapping knife. 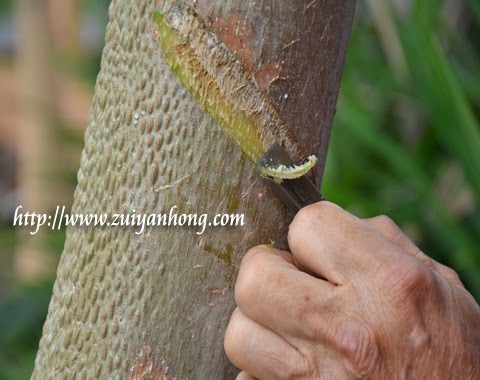 This photo demonstrates how to tapped rubber using upward rubber tapping knife. If you observe carefully, you will notice that the trunk in the photo is not a rubber tree trunk. Actually it's a papaya plant. 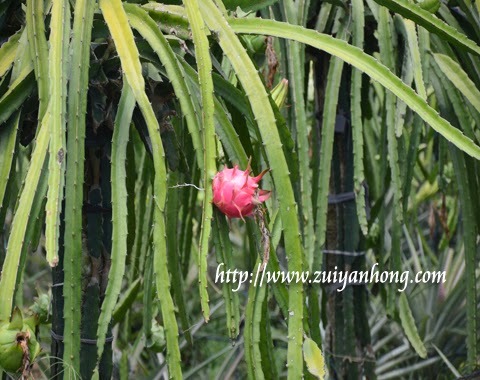 Besides tapping rubber, the villagers also grow fruit trees especially dragon fruit plants. That's why there are dragon fruit plants everywhere in the village. Perhaps it's not dragon fruit season during our visit to the village. If not we would like to taste the dragon fruit of Kongsai Village.